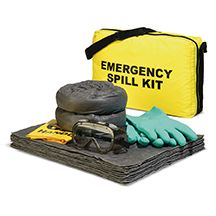 Quickly contain spills and debris on moderately choppy waters. 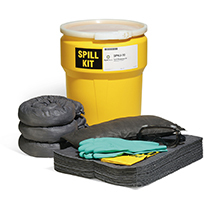 Our medium-duty non-absorbent Boom floats to keep oil from spreading into or out of a contained area while the skirt hangs below the surface to help prevent spills from creeping underneath. Fiberglass storage locker withstands the ravages of salt water spray. Easily moved with fork lifts, motorized units, or on utility trailers or boats. Holds up to 100 feet of our Orange Containment Boom.